*Fresh. Innovative. Sleek. Reliable. Creative. Dependable. Service oriented. Intuitive. These are some of the adjectives used to describe the brand of Apple Computer. These descriptions apply to the look, interaction and behavior of the products and company. It’s the brand. Much like Apple, people have a brand. It is the experience that people have of you; the promise you make the world about what you stand for. It is comprised of appearance (the look), communication (interaction) and character (behavior), like products. Everyone has one whether intentional or not. Your brand often arrives before you do, and you leave it behind when you go. Why not be intentional and authentic about it? Similar to the way you have a bad experience at a restaurant, cleaners or print shop and tell everyone you know online and off; so goes your brand. It only takes one bad experience to ruin a brand, as many high profile figures have found out. As a side note, statistics show that it takes fifty-six unique interactions with a brand to change a negative perception. This is a good reason to be deliberate about presenting your best and most authentic self. . .less the insecurities. Some people would argue that insecurities are a part of your brand. That is actually like Apple promoting a flaw that is hidden in their operating system. Eventually, they will work out the kink and many will have never noticed. Insecurities, without being checked, become brand busters. They show up as inappropriate attire, ineffective communication and bad character. Building an authentic brand message requires an identification of your values. Launching from this platform gives you the “at a minimum”. This is what people can expect from you no matter what. You can purchase any Apple computer and at a minimum, you can expect great service and ease of access to information. This is, among other things, part of their brand message. If you value education, integrity, communication, money, transparency, access, appearance, kindness, family, God, etc., then your brand message should directly line up with these values. Another important aspect to brand messaging is consistency. People like to know what they’re going to get in the package. At a minimum, Beyonce is beautiful, a great dancer, and an amazing performer. At a minimum Oprah is a giver, knowledgeable, and wealthy. At a minimum Chelsea Lately is open, forthcoming and transparent. At a minimum Ashton Kutcher is quirky, and humorous. These are messages directly related to these brands. I’m sure there are more “at a minimum messages” for these brands, however these are a few that I’ve noted. What is your brand message? What can people expect from you, at a minimum? Begin with understanding your values. Monica Cost is communications strategist, brand manager and respected corporate and motivational speaker. 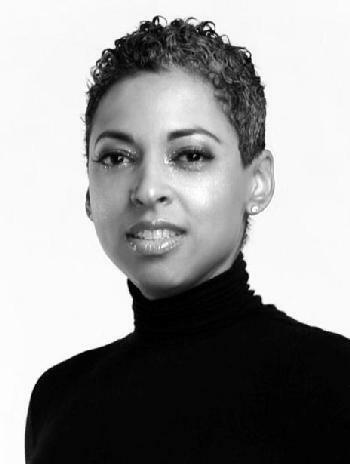 She is the President and Founder of Evidently Assured, a brand & talent management firm. Email her at: LiveYourTruth@MonicaCost.com. Follow her via Twitter: @monicacost and Facebook.com/monicahairstoncost.